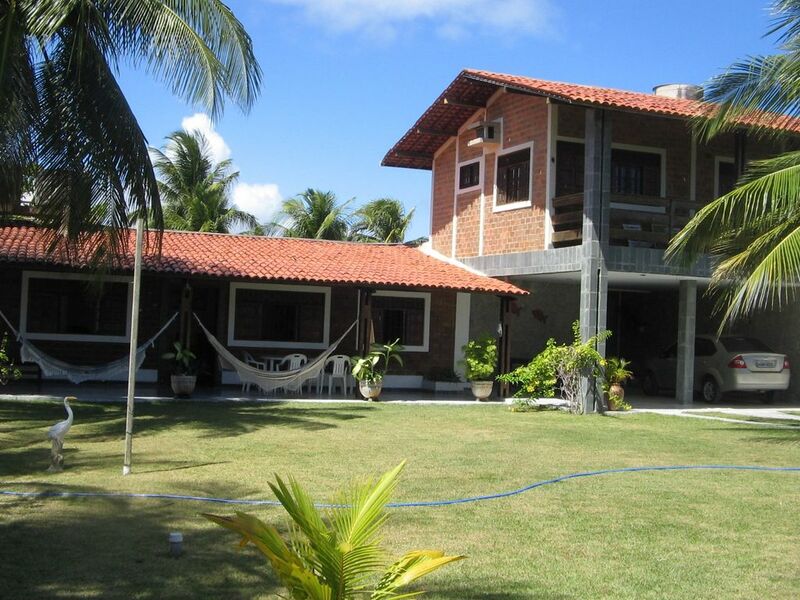 LINDA HOUSE IN MACEIO BEACH IN CONDOMINIUM C / GREAT PRICE !!! A beautiful large beach house in condiminio Sauaçuhy with 2 suites on the first floor overlooking the sea prara but 1 bedroom with one bathroom downstairs, all rooms with air conditioning and television, with a good leisure area with volley field lawn, ping pong table, beach chairs, etc., situated in the beautiful and quiet beach Ipioca, perfect to enjoy and relax with the family, is 20 meters from the beach !! . Tb is near the natural pools of Paripueira and several other north coast beaches, which are located several basinhos and cozy restaurants !! are 4 bathrooms, 2 with suites and 1 out of the room with shower and toilet for more leisure area. É cobrado uma calção no valor de 600,00 reais, se tiver tudo ok no check up devolve.